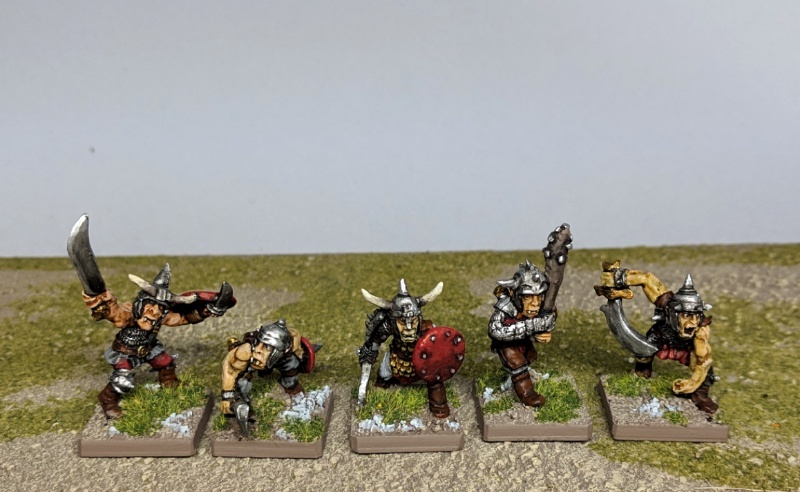 Finished all five half-orcs, from an Alternative Armies hobgoblins pack. 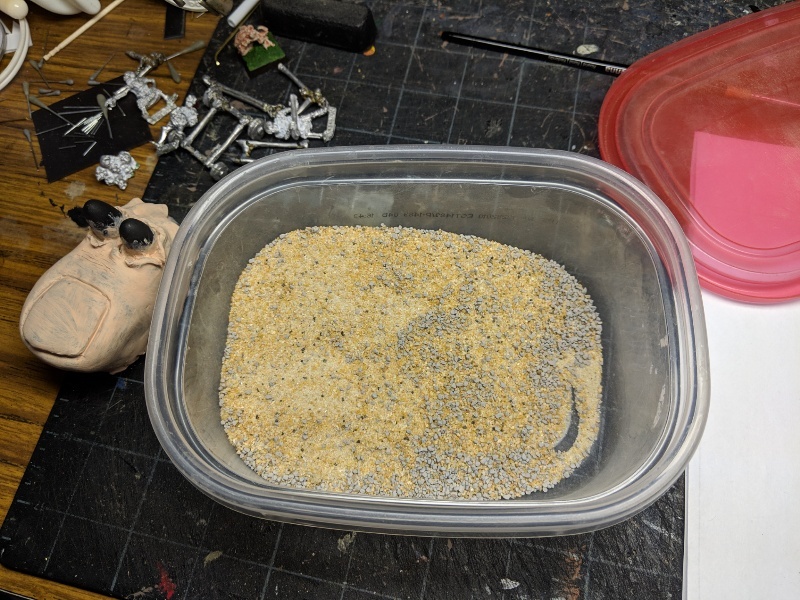 Oldschool sculpts, and the casting was a little rough, but the minis are expressive and dynamic. I'm a big fan of three of the five, still like one of the remaining two, and the guy with the club...I guess he can tag along just because he's in good company. I'm very curious about the vintage and history of these sculpts. I'd love more minis like these, but the AA orcs seem to be from a variety of sources, even just within the few hobgoblin packs.